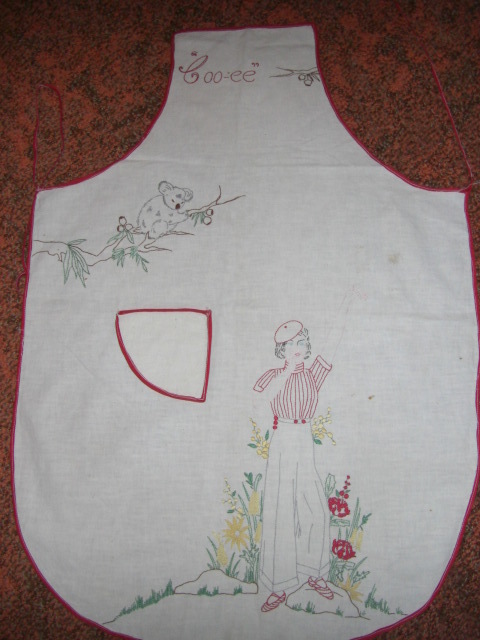 These are among my favourite aprons; the stitched areas that are completely filled in leave me floored. So much work, it must have taken many hours. 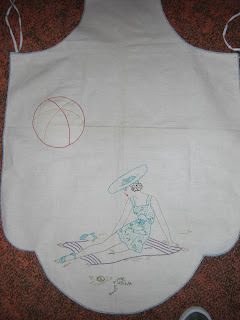 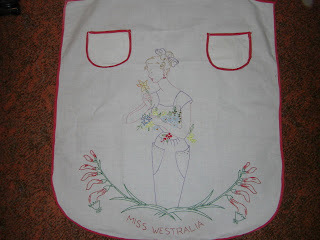 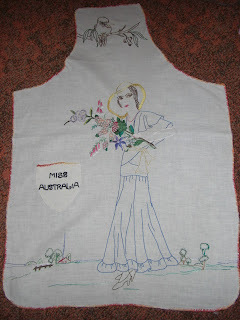 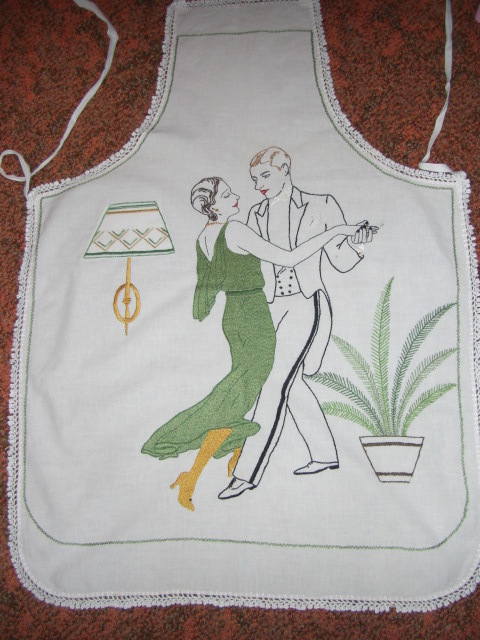 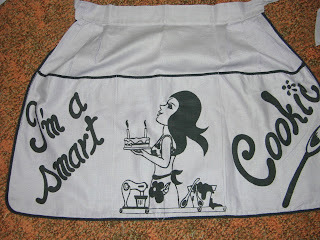 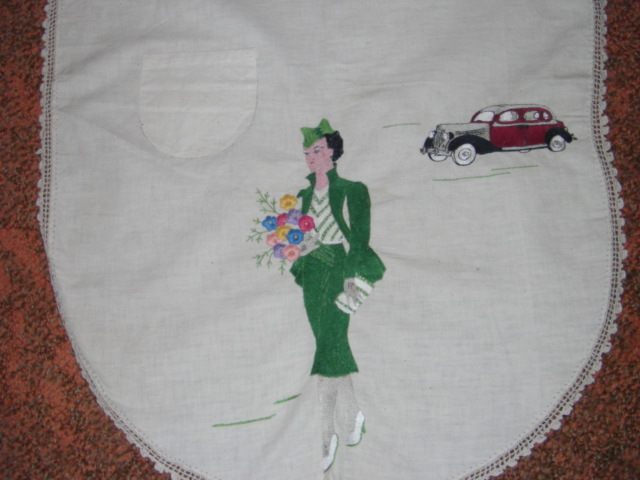 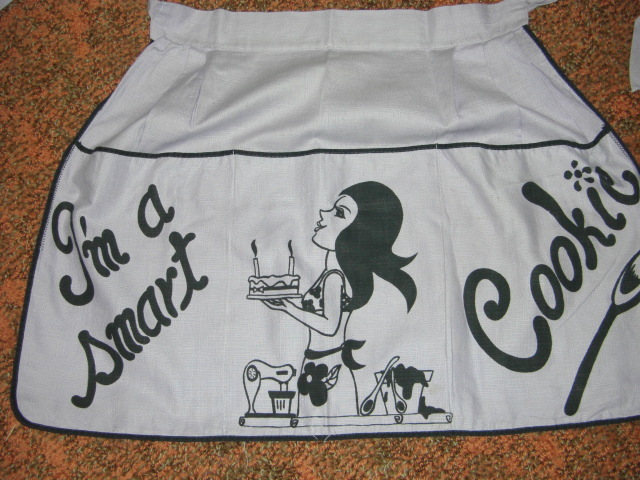 This half apron was one of many that my husband's Mum gave me some years ago. It isn't embroidered, but I've included it here because to me it represents the quintessential 1950's!